The former municipalities of Birchton, Bulwer, Cookshire, Eaton Corner, Johnville, Newport, Randboro, Saint-Mathias-de-Bonneterre, and Sawyerville comprise the Urban Agglomeration of Cookshire-Eaton. The Cookshire-Eaton Fire Department also responds to emergency calls from the Sherbrooke Airport. Three fire stations serve the Urban Agglomeration of Cookshire-Eaton, a region that includes Newport and that covers a surface area of approximately 572 km2. These fire stations are located in Cookshire, Johnville, and Sawyerville. Electric or battery-operated smoke detectors must be installed in each dwelling and in each room used for sleeping that is not within a dwelling. in each dwelling that has a workshop used to repair tools. In the case of a defective or malfunctioning alarm system, the municipality is authorized to charge any alarm system user for the expenses it incurs, in particular the expenses incurred for entering the premises. The use of firecrackers is banned. Lighting, setting off, or allowing another individual to light or set off fireworks in a public or private place without having obtained a municipal permit beforehand constitutes a nuisance and is prohibited. No one may light, have lit, or allow to be lit any type of fire, without having beforehand requested and obtained a permit for this purpose from Town Hall, issued in accordance with the current by-laws. No permit is required to use a charcoal grill or gas barbecue, or to light any fire in an outdoor fireplace as long as the latter is equipped with a spark guard at the top of the stovepipe and that the fire is made according to the conditions stipulated in subsections a), d), e), i), and k) of section 92 of the current by-law. In addition to these stipulations, an outdoor fireplace must be installed with a clearance area of 3 metres on all sides, must not be within 3 metres of the property line. There should be no flammable gas containers (bottles or tanks) within this clearance area. This clause does not apply to open-air fires located on campgrounds. To obtain a fire permit, please contact Town Hall during regular office hours at 819-560-8585. All residents must ensure that their civic numbers are easily legible and clearly visible at all times. If your residence is not properly identified, it will be difficult to find you. The lack of a number on your door, poor lighting, or an unmarked mailbox may cause delays. A clearly identified residence will be easier for paramedics, first responders, the police, firefighters, or any other service that may be called to your house to find. Therefore, we ask that you make sure that your civic number is easily seen from the road. The Town of Cookshire-Eaton does not offer chimney sweeping services. Make sure your chimneys are well-maintained. The Government of Quebec adopted the Fire Safety Act in 2000. This law states that each MRC in Quebec must develop a fire safety cover plan in its area. One of the provisions of this law requires that home fire prevention visits be performed. 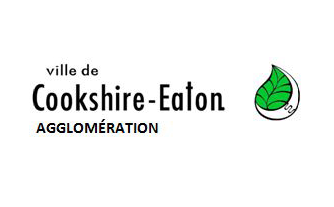 The Urban Agglomeration of Cookshire-Eaton conducts home fire prevention visits as part of the implementation of this plan in the area under the Haut-Saint-François MRC’s jurisdiction. The fire prevention inspector, or his or her representative, will visit your house to evaluate the risk of fire (smoke detector, propane gas, evacuation plan, etc.) and, if needed, recommend changes to be made. In Quebec, more than two-thirds of fires occur at home. Home prevention visits are one of the leading approaches used by municipal fire departments to heighten public awareness of fire hazards. When there is a flood or sewer backup on your property, it is important to understand the health risks and precautions to take. For more information, please consult the following Web site.